What’s the Deal With Pumpkins? Who is David S. Pumpkins? We’re not sure. Where did he come from? No one really knows, aside from those skeletons that are always dancing next to him. What’s with the dancing skeletons? It’s a mystery. Why does he like pumpkins so much? We think it has something to do with his last name, but we really can’t confirm or deny that. So then, what does the S stand for? Okay, here’s a question that we CAN answer. It’s Simon. David Simon Pumpkin. Why do we like him so much? You know, we don’t really have a good answer for that. 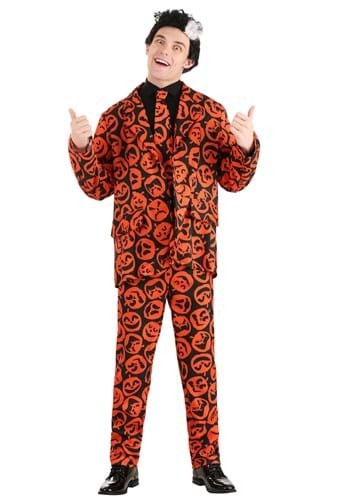 This costume is an officially licensed outfit based on the Saturday Night Live character. 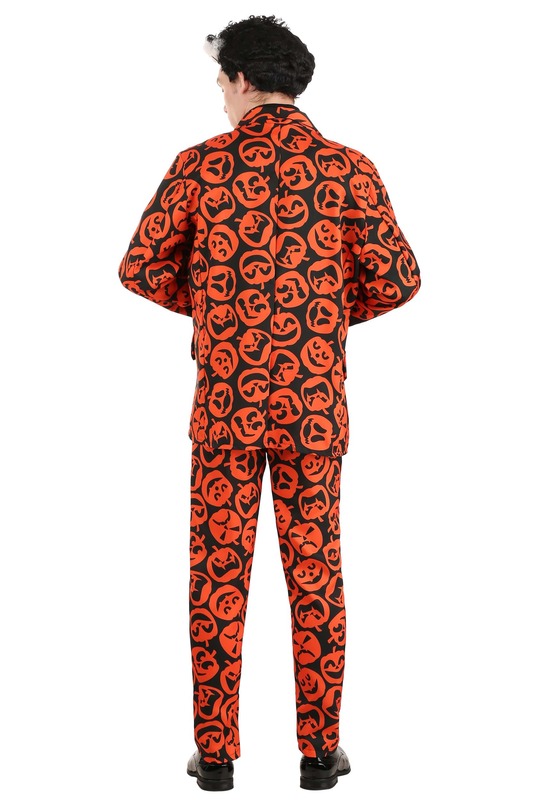 The jacket is black and has plenty of orange pumpkins on the exterior. It has buttons in the front, but everyone knows that the real David likes to keep it loose and open. He’s a casual guy. The matching pants continue the flow of the outfit and have an elastic band in the waist for fitting. The tie adds the finishing zing to the costume, so you’ll be ready to give every a solid Halloween thumbs up this year. Of course, it’s hard to be David S. Pumpkins without some skeletons dancers in the mix. Make sure you find a couple of friends to dress up as your beat boy crew to get the full effect. Not everyone will get what’s going on, but that’s all a part of the David S. Pumpkins fun!